Outside the sky was grey. Dark clouds hung over the hilltops. You could still see the green, although most have given way to the browns and yellow’s of an old autumn, an autumn that had lasted too long. Spent weeks ago, yet holding on, awaiting the first snowfall – anything to move it forward. Loretta watched as a particularly dark cloud shifted into the frame of her bedroom window. It had cast an even darker shadow on the hill across the lake, so dark in fact that it was hard now to distinguish the trees from the terrain. Her coffee was old. She’d been up early this morning, and now the coffee tasted stale and burned. But she sipped it anyway. Disliking the taste on her tongue. There wasn’t much in her mind these days. At times, she tried to sift through the feelings she had, the hopes and dreams she ought to have, to find a path. But mostly she just went through the motions of daily living. It had been like this since Stephan had died. And that was a very long time ago. “Lor,” Angie said sympathetically. “Lor, I just don’t know what to say. I don’t know how to help you through this. God. I am heartbroken for you.” And a look of love and compassion. It had been lost on Loretta then. They had been at a café, having a coffee then. It had been weeks since they’d been out for their usual weekly get-together. Loretta’s fault. Or perhaps Angie’s. Life had been busy. There had been many things to do, and never enough time to fit in a moment for one another. Now, at the small round table, in the mid-morning sun, they sat together. The first part of the conversation had been an attempt on both parts to catch up on the news. What was John doing? Oh, he’s now a partner! Wonderful. I’m so happy for you, Angie. And what are the boys doing? Really? Good for Mark. And the questions had come back her way too. And she’d answered dutifully. Marlene now had her hairdressing license, and Toby was doing really well in third year at university. He had received an economics award for achieving 100 per cent on an exam. Wasn’t that wonderful? Good for him, Angie had said. Loretta had agreed. And Rob? How was Rob? Rob was fine, Loretta had said. He’s busy. They’re always wanting his opinion on one contract or another, she’d said. The phone rings all evening. Yes, sometimes he gets called out to a meeting after he’s home. But it’s ok. He’s happy, Loretta had said. His life is moving forward. Loretta had become lost in the conversation several times. Her thoughts wafting to places that were painful, but places they wanted to go. She knew herself well enough to let herself go to painful places, because it was there that she was able to feel alive. Angie had noticed. Sometimes it’s that way with old friends. They notice things. And she’d asked. As sometimes old friends do. “What’s up, Lor?” A simple question. A huge answer. Loretta had been shocked, actually. She answered with her eyes, not her mouth. She looked Angie in the eyes. Angie’s looked became worried. It was as if she were at once wanting to know and not wanting to know. Which of course, was the case. And as it is with old friend sometimes, she knew the answer. Or part of it. “Oh Lor,” was all she could say. And glance away. There had been no phone call. No notification. Just one week, he’d been gone. He hadn’t shown up for their usual foray in the park. Or the foray that happened afterward. He just hadn’t come. She’d gone through the motions. Wondered if she’d got the wrong day, wrong time. Tried every day for a month. Tried to find a phone number, or an address. A cell phone. An email address. Nothing. She hadn’t known his home phone number, nor had he known hers. They’d been very careful to preserve whatever integrity of family life they still had. No, it hadn’t been an affair. Not in the sense that you would think of an affair. They had never actually slept together. But they had made love in many other ways. In conversations. In glances. In hugs. In letters or notes. Physical union had crossed their minds, but they had avoided it. Both of them. For one reason or another. Perhaps neither wanted to alter what they had. Perhaps it was a way of hanging on to what they did have, at home, with their families. Perhaps they had really been cowards. Perhaps not. But they had loved one another. A spiritual union, Loretta had always thought. So after Stephan disappeared, which is how she looked at it, she was worried. Worried beyond belief. She couldn’t imagine what had happened to him. And she didn’t want to. Eventually, as despair set in, and the insecurity of wondering had dissipated, she went to the library and did her own research. And that day. That day was the day the grey clouds had set in. She searched and searched. Finally even searched the obituaries. She remember having found nothing. No sign of him…..for she didn’t even know his last name. He had been “Stephan” to her, always. So she searched by first names. And it took a long time. Eventually, she found him. Listed. Dead. Of a stroke, she guessed. Since his wife had asked for donations to the Heart and Stroke Foundation. His last name was Perset. He’d been 49. She knew that. Suddenly, at his home, on Sunday February 27th. Survived by his wife, and their three children. One was already married, and it listed his name too. The obit had listed Stephan’s accomplishments, his life in a box, she’d thought. And known that it wasn’t. Today was the first day of spring. The snow was melting, and Loretta was outside cleaning up the winter’s debris. She always marvelled at how little tiny specks of green had lasted through the harsh winter. Horticulturalists told her it was because the winter was so harsh that the greenery could survive. It was almost like a deep freeze that preserved life. She thought back to that day when she and Angie had spoken, without words. She had sometimes smiled to herself, knowing that Angie must have thought she’d been having an affair. Some things can’t be explained, not even to old friends. Loretta had known that. As she raked the garden with her fingers, loosening the earth so that the bulbs would be able to force their way through, she remembered that grey fall day a year or two earlier when she had felt the depth of life. It had been her winter, she thought. And she wondered what had led her through that winter. The winter of her life, when everything had seemed dead. She hadn’t analyzed things very much. A feeler, not a thinker. She still thought of Stephan. All the time. He was part of her, she’d thought. After she’d grieved, it had been a long grieving, she had consciously decided to keep him with her. She didn’t want to imagine if he’d thought of her before he died. She didn’t want to imagine if he had ever wanted more than she’d offered him. She just let it be. We find people in our lives, she had thought, to help us move forward. Stephan had kept her moving forward and still kept her moving forward. The conversations they’d had. The introspection and the philosophizing. What was God? Was there a God? How had the universe begun? Was there other life? They’d talked about relationships, and love, and religion. About moral issues. All the conversations, while maybe not the details, were played out in her head over and over again. All the readings she had done, and still did, were discussed with Stephan, silently, in her head. She played things out against him constantly. He was still moving her forward. But not perhaps to an ultimate end. She wondered about that. He’d always said she was a “feeler”. She’d always prided herself on that, actually. What more could there be to life than feeling? He had encouraged her. To feel. Not to focus entirely on the routines, the mundane. But to allow a depth in all emotion, good and bad. Life, she thought. 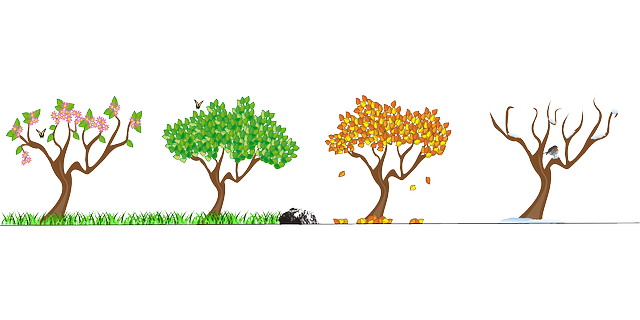 Life is a series of seasons. And we do what we can to make the winters harsh so we can protect the greenery. Miracles are in the air every day. His face beaten and weathered. And beg desperately for life. Lucky – it is all he has. Are we are his miracle? Her eyes are aged…yet breathe the hope of the rest of her life. Every day a pantomime visits her bedside…. Lost in the abyss between two worlds. His miracles are waiting for him. Draped with a blanket of grey. And a rainbow was simply a coloured cloud in the sky. It wasn’t a book or a visitation. Or something she didn’t do. It wasn’t a child or an adult. It wasn’t a god, or a spirit. Or what she’d given up on. It was a true miracle. Oh! This miracle was disguised. Perhaps a red coat and a white beard would have best-suited this miracle. Her miracle had no physical reality. It was a miracle of love. that has always touched my heart? As a big girl, I chose to believe it, and as an adult, I created it. But today, this year, I know. They are created for us. And are revealed through our own soul’s eyes. Perhaps as a woman at a child’s bedside. Perhaps even as the man on the corner with eyes sunken in his head. Santa is there, within us. In whatever dress we choose…..
And his miracles are ours to lose. The miracle for the man on the street? But in the look of love. The clown — a disguise for love. And the miracles grow through the gate. They are there for each of us. Perhaps not in the form we want them. Perhaps not in the disguise we wish. If we but choose to believe. 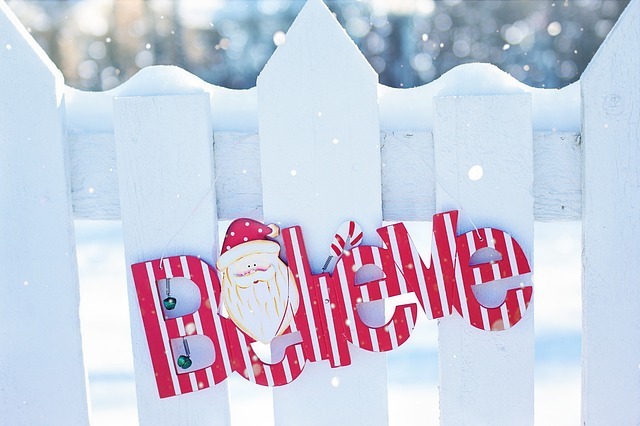 Believe, this Christmas. Believe in the magic for our world, for all of us, but especially for yourself. It lies in wait within you. Moreover, remember that you may be the candle that’s meant to light another…..you may be the disguise for someone else’s miracle. Believe in the magic for yourself; believe in it for all of us.